Being involved in any kind of car accident is a frightening experience, but learning that the driver who hit you had been drinking can make the situation even more painful and complicated. If you’re the victim of a DUI accident, it’s important that you take action as soon as possible. Here’s what you need to do. The first thing you should do if you are involved in an accident is to call 911 or the police, even if no one appears to be injured. This is critical if you suspect that the driver who hit you had been drinking prior to the accident. Do not negotiate with the driver or agree with the driver to handle the accident outside of the law, even if the accident was minor. Always call the police as soon as possible after the crash. When you speak with the driver of the other vehicle involved in the crash, it’s important that you make note of any observations you make about the driver’s behavior. If you smell alcohol on the driver’s breath, make a note of it. If you notice that the driver is stumbling or slurring his or her words, you can also make a note of this. Although you will give this information to the officer who responds to the scene of the accident, you’ll also need this information later if you pursue a case for compensation against the driver who hit you. Although it is possible to navigate the aftermath of a car accident without the assistance of an attorney, this is not necessarily in the best interest of you and your loved ones. This is particularly true if you were hit by a drunk driver. After you’ve given your testimony to the police on the scene and have gotten prompt medical care for anyone who was hurt in the accident, it’s imperative that you contact a lawyer and learn more about your legal options. 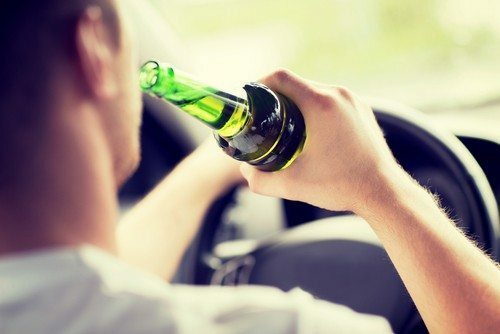 At Appalachian Injury Law, we have the skills and resources to aggressively represent you against careless drunk drivers who cause damage to your vehicle and harm to your family. Contact us today for a consultation to discuss your case in detail and to begin pursuing the compensation you deserve for the damages you have incurred. Call now at (706) 515-1995.